Telv International (Hong Kong) Co., Ltd. and Telv Aluminum (Kunshan) Co. Ltd. are the global leading agents for aviation aluminum and industrial aluminum manufacturers. 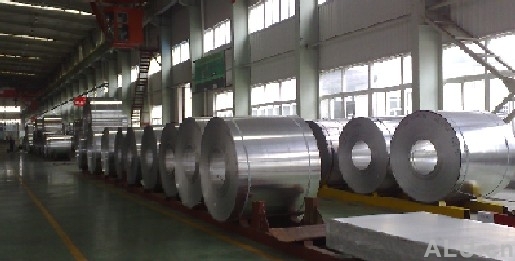 We specialized in selling and servicing for AA members of America Aluminum Associations, mainly offer to American, Germany, Korea and Japan Alcoa aluminum, also be the agents of many special materials, extra-thick aluminum plate, extra-big aluminum bars and serious Aluminum. We are designated suppliers for Asia rare materials. With a pragmatic, positive and serious attitude, Telv Aluminum (Kunshan) Co. Ltd. adheres to the principles of “ rationalize prices, stability quality and comprehensive service”. Based on strict management and company's own resource, we strive to become the top cooperation and most satisfaction partners of customers. Alloy Products produced by Telv are designate suppliers by world-renowned brand manufacturers, Airbus, the Boeing Company and the semiconductor industry. Companies leading products are for the aerospace, aviation, ship, machinery processing, machinery manufacturing, die, metal, electronics, particularly having outstanding quality advantages in the semiconductor machinery, instruments, semiconductor equipment, electronic precision instruments, blowing mold, precision components and other industries. We have large-scale warehouses in Hong Kong, United States, Kunshan, and mainly for storing 6061,7075 large inventory of aluminum plate and aluminum bars. Normal in stock: 6061,7075,5052,5083,6082,3003,2024,2017 7050,7470,1050,1060,1100,2014, and other aluminum plates, bars and other materials. We are specialized in operating aluminum brands: 2017, 2024, 5052, 5083, 6061, 6082, 7075, 7475, 7050, and other related imported materials. Welcome to call us for more information!